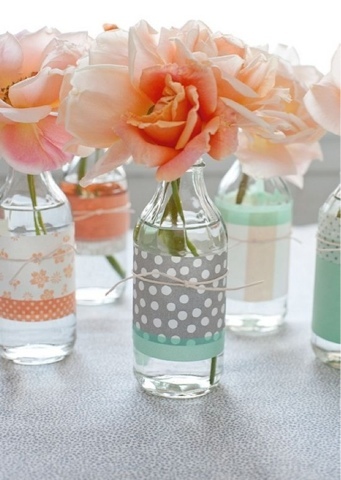 I first stumbled across Washi tape a few months back when a project was featured in Mollie Makes magazine. It was of a table covered in Washi tape. I thought it looked just like coloured Scotch tape but it was pretty cool. Washi tape was created in Japan in 2006 when a group of artists approached a Japanese masking tape manufacturer and asked if they could produce some coloured masking tapes for artists. There were 20 varieties to begin with and they were such a success the company diversified. One day when i was shopping in Sainsburys I saw some Washi tape and thought I'd buy some for a future project, I then saw some roles reduced in another shop and bought those too. Now I have tape but no idea what to start taping first! A look on Pinterest showed me loads of projects from vases and tea lights to covering your keyboard or even your bicycle. In fact it seems that the sky is the limit when using Washi tape. 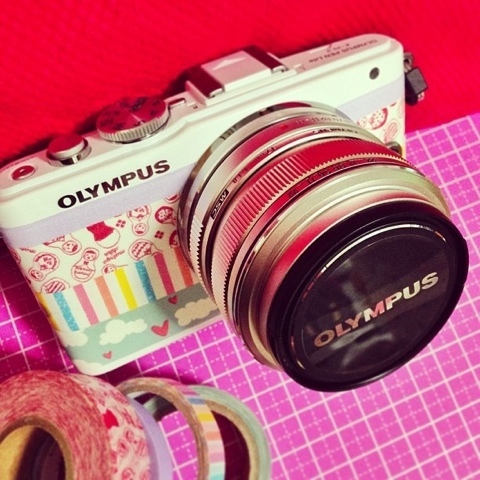 I also came across the following site which has cool Washi tape project ideas. I think both the table and jewellery tree look fab not to mention the door!!!! 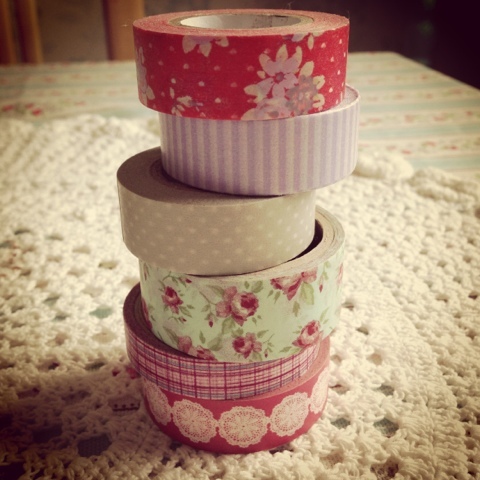 Watch this space as I delve into the Washi tape unknown!!! I'm off to start looking around my home to see what I can Washi up!! 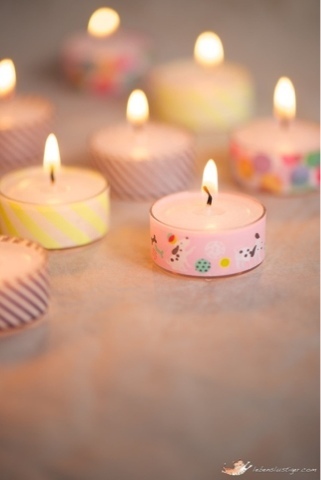 Are you a Washi tape fan??? What have you made?